I have 4 Tickets available for Friday's Crucial Euro Qualifier against Slovakia in Aviva Stadium kick off 7-45 pm €45 each or €60 each. On a point of information a special train will return after the game. Mossie Linnane League Cup: Group A: Blarney St Ath 0 Springfield A 1; Carrigtwohill Utd A 2 Leeside A 3. Group B: Knockavilla Celtic 3 Coachford A 3; Macroom A 1 Killumney Utd 4. Group C: Greenwood A 0 Wilton Utd A 2; Kilreen Celtic 2 Pearse Celtic 2. Group D: Castleview 6 Blackstone Rovers 3; Park Utd A 4 Bohemians 0. AUL 2: Blackpool Celtic 1 Ard Na Laoi 2. Danny Murphy has been in touch to say that Cork City FC in association with Concept4Soccer are giving every schoolboy and schoolgirl in the county the opportunity to avail of a complimentary ticket to next Saturday’s big Munster derby between Cork City and Limerick. City currently sit second in the table, and face a Limerick side who are fourth in the table in the race for promotion to the Airtricity Premier Division. Limerick have recently signed ex-City players Joe Gamble and Denis Behan as part of an investment drive to become a force in Munster and League of Ireland football. We are out to prove that there is only "one big team in Munster" by ensuring a bumper crowd, and with your help, we aim to beat this season's previous highest attendance of 3,205. Concept4Soccer is a technical coaching programme for youth players being implemented in Cork by Danny Murphy and the C4S Team. Don't forget to tune in on Tuesday night for all the results and updates. This will be the last week for mid-week games. I'm sure most will be pleased with that. Slovakia Tickets - act now! I have a few tickets for the Republic of Ireland v Slovakia Crucial Euro Qualifier on next Friday night in Aviva Stadium, prices @ Upper Stand €45 or Lower Stand €60. 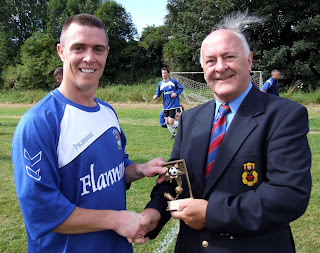 Wilton United's Paul O'Mahony receives the man-of-the-match award from Denis O'Driscoll (AUL) after the game this morning in which Wilton won 5-0 at home to Kilreen Celtic in the Mossie Linnane league cup. Daly Industrial Supplies U18 League Cup: Wilton United 0 Park United 4, College Corinthians A 3 Passage 2, Springfield Ramblers 1 Douglas Hall A 1, Everton 4 Glouthaune United 0, Riverstown 0 Ringmahon Rangers 3, Mallow United 2 Richmond 2, St Mary’s 0 Ballincollig 2. Gussie Walsh Perpetual Trophy: Douglas Hall 0 Castleview 10, Carrigaline United A 3 Midleton 3, Crosshaven 1 Carrigaline United B 2, Everton 0 College Corinthians A 4, Wilton United 0 Leeds 8, Rockmount 0 Avondale United A 0, Bandon 3 Springfield Ramblers 0, Castlebridge Celtic 0 St Mary’s 2. Daly Industrial Supplies U19 League Cup: Castleview 6 Cobh Wanderers 1, Everton 3 Carrigaline United 2, Ringmahon Rangers 4 Greenwood 2, Strand United 1 Temple United 1, Midleton 4 Youghal United 0, Ballincollig 10 Blarney United A 1, Avondale United 3 Leeds 5 (aet), Blarney United B 0 Douglas Hall 2 (Blarney United B win on penalties). Group A: Leeds 0 Blarney St Ath 2; Springfield A 3 Carrigtwohill Utd A 2. Group B: Coachford A 2 Macroom A 2. Group C: Kinsale 2 Greenwood A 4; Wilton Utd A 5 Kilreen Celtic 0. Group D: Blackstone Rovers 2 Park Utd A 4; Bohemians 1 Grattan Utd 0. AUL 1: Village Utd 1 Glen Celtic 5; Watergrasshill 3 Crescent Ath 4; Cathedral Celtic 4 Dillons Cross 1; Buttevant 0 Fairview 3; Shandon Celtic 0 Knockraha 5. AUL 1A: Donoughmore Ath 0 Glenvale 4; Rathcoole Rovers 2 Greenmount Rangers 2; Richmond 1 Grangevale 2; Douglas Hall 2 Glenthorn Celtic 1; Millstreet Celtic 1 Innishvilla 2. AUL 2: Killowen 1 De Courcey Albion 0; Macroom 1 City Wanderers 1; Rylane Celtic 0 CFC Banteer 2; Waterloo v Ballinhassig (off); Ard Na Laoi 0 Casement Celtic 2; Blackpool Celtic 1 Ballincollig 1. AUL 2A: Central Rovers 1 Corkbeg 1; Brooklodge Utd 8 Glanworth Utd 2; Springfield B 3 Churchvilla 0; St John Boscos 0 Hibernians 4. AUL 3: Afton Villa 2 Greenwood B 3; St John Boscos 1 Innishvilla B 1; Parkview Celtic 2 Hillington 3; Passage 2 Hibernians B 0. AUL 3B: Buttevant 2 Coachford B 1; Los Zarcos 1 Newmarket 3; Rathcoole Rovers 1 Lakewood Ath 3; Strand Utd 4 Kanturk 0. Rathcoole Rovers in North Cork are looking for a keeper for their B team. Thursday's Results: AUL 1: Buttevant 0 Crescent Ath 4; Leeside 2 Knockraha 2; Shandon Celtic 0 Fairview 4; Village Utd 2 Dillons Cross 1; Watergrasshill 4 Cathedral Celtic 1. AUL1A: Donoughmore Ath 1 Dunbar Celtic 3; Innishvilla 1 Greenmount Rangers 2; Millstreet Celtic 1 Grangevale 4; Rathcoole Rovers 1 Glenvale 3; Richmond 1 Glenthorn Celtic 2. AUL 2: Ard Na Laoi 1 Ballinhassig 1; De Courcey Albion 1 City Wanderers 4; Killowen 2 CFC Banteer 2; Macroom 1 Casement Celtic 1; Rylane Celtic 1 Blackpool Celtic 2. AUL 2A: Brooklodge Utd 1 Churchvilla 2; Leeview Ath 0 Hibernians 6; Springfield B 2 Glanworth Utd 0; St. John Boscos 2 Corkbeg 2; Wilton Utd 4 Central Rovers 2. Well, Well, some interesting results arriving from tonight’s games. In Group A, Leeside top the group now after a hard-earned 1-0 win over Springfield A earned them maximum points from two games. Carrigtwohill A got off the mark with a solid 3-0 win over Leeds. In Group B, Killumney are the team looking impressive after two 3-0 victories to-date establishes them as clear leaders with Dave Kenny getting on the score-sheet again tonight. He now has four over two games. In Group C, holders, Kinsale suffered their second defeat on the bounce after they went down 2-1 tonight against Kilreen Celtic at Murphy’s Farm. Another team blazing the trail even at this early stage is Pearse Celtic. After coming from the back of defeating Kinsale over the weekend, the came from 2-0 down against Wilton United A tonight to salvage a point in the end and were it not for a penalty miss near the finish, they could have taken all three points. However, for their endeavours to-date, they head this group with four points in the bag. Group D: Tight enough here with both Castleview and Bohs winning tonight and as a result, they both are more or less joint top but, Park and Blackstone have a game less played. Tune in again next Thursday night for more results from a significant league program involving AUL 1, 1A, 2 and 2A. Group A: Carrigtwohill Utd A 3 Leeds 0; Leeside A 1 Springfield A 0. Group B: Coachford A 1 Kanturk A 2; Killumney Utd 3 Knockavilla Celtic 0. Group C: Kilreen Celtic 2 Kinsale 1; Pearse Celtic 2 Wilton Utd A 2. Group D: Blackstone Rovers 1 Bohemians 2; Castleview 6 Grattan Utd 1. As you will notice, there are a couple of surprising results again tonight. A brief run-down will follow shortly on the shape of the groups. Tune in on Tuesday night and join me when I will review the various sections as a result of the Mossie Linnane League Cup encounters which will be the only fixtures taken place on the night. Daly Industrial Supplies U18 League Cup: Park United w/o Carrigaline United scr., Kanturk 1 Passage 3, Douglas Hall A 2 Kilreen Celtic 1, Glouthaune United 1 Douglas Hall B 3, Ringmahon Rangers 12 Buttevant 0, Richmond 3 Knockraha 3. 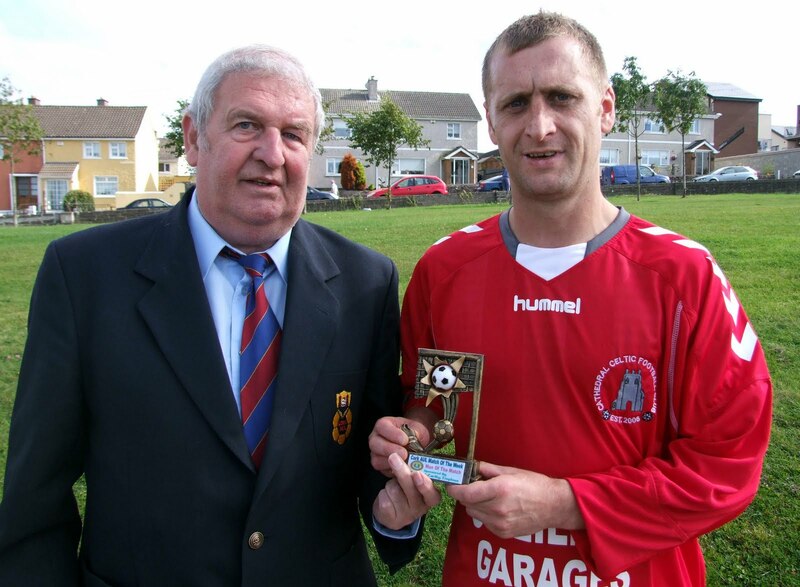 Gussie Welsh Perpetual Trophy: Castleview 7 Midleton 1, Douglas Hall 0 Carrigaline United A 5, Carrigaline United B 0 Ringmahon Rangers 8, College Corinthians A 11 Avondale United B 0, Avondale United 16 Riverstown 0, Springfield Ramblers 5 Buttevant 0, St Mary’s v Blarney United abandoned. Daly Industrial Supplies U19 League Cup: Cobh Wanderers 0 Castleview 4, Carrigaline United A 1 College Corinthians 2 , Greenwood 1 Ringmahon Rangers 5, Temple United 7 Mayfield United 2, Riverstown scr. Youghal United w/o, Avondale United 1 Leeds 3, Blarney United 2 Douglas Hall 0. 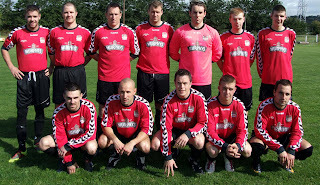 Mossie Linnane League Cup: Group A: Blarney St Ath 5 Carrigtwohill Utd A 0; Leeds 0 Leeside A 1. Group B: Kanturk A 0 Killumney Utd 3. Group C: Kinsale 2 Pearse Celtic 3; Greenwood A 1 Kilreen Celtic 0 (game abandoned). Group D: Grattan Utd A 2 Park Utd A 5; Bohemians 1 Castleview 1. AUL 1: Knockraha 2 Watergrasshill 3; Cathedral Celtic 3 Buttevant 1; Crescent Ath 0 Village Utd 1; Dillons Cross 4 Shandon Celtic 1; Glen Celtic 3 Leeside B 0. AUL1A: Grangevale 0 Innishvilla 2; Glenthorn Celtic 3 Rathcoole Rovers 3; Dunbar Celtic 6 Richmond 2; Douglas Hall 2 Donoughmore Ath 0; Glenvale 1 Millstreet Celtic 0. AUL 2: Ballincollig 3 Ard Na Laoi 0; Casement Celtic 4 Killowen 2; CFC Banteer 0 De Courcey Albion 1; Ballinhassig 3 Rylane Celtic 0; Blackpool Celtic 5 Macroom B 0; City Wanderers 5 Waterloo 3. AUL 2A: Central Rovers 0 Brooklodge Utd 1; Churchvilla 2 Wilton Utd 4; Corkbeg 1 Springfield B 3; Glanworth Utd 2 Leeview Ath 3. AUL 3: Ballinhassig 1 Afton Villa 3; Hibernians 2 Parkview Celtic 1; Hillington 3 St John Boscos 2. AUL 3A: Cork Road Celtic 1 Park Utd 2; Carrigtwohill Utd 2 Carrigaline Utd 2; Glounthaune 3 St John Boscos 3; Dunbar Celtic 1 Knocknaheeny Celtic 3. AUL 3B: Bweeng 1 Buttevant 0; Coachford 1 Strand Utd 1; Lakewood Ath 0 Newmarket 2; Kanturk 4 Rathcoole Rovers 0. SPEEDY RECOVERY: On behalf of the league, I would like to wish Jonathon Murray (Kilreen Celtic) a speedy recovery from a serious injury sustained in the game against Greenwood A this afternoon. This game was abandoned because of the unfortunate incident. 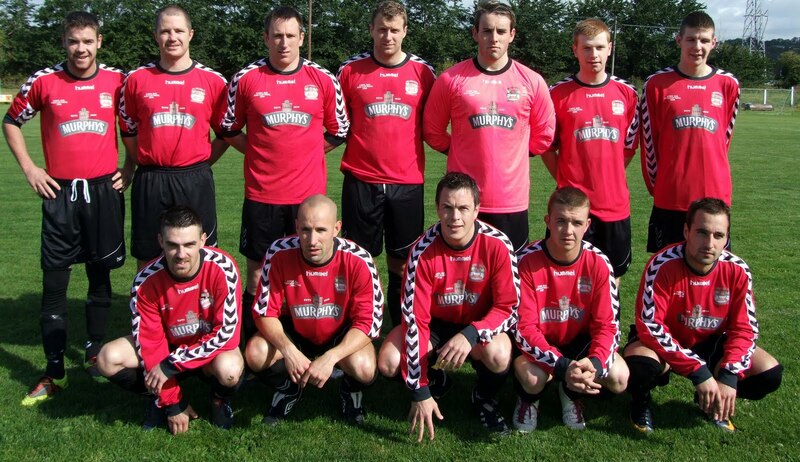 The Leeside team that had a narrow 1-0 victory at home to Leeds on Sunday morning. 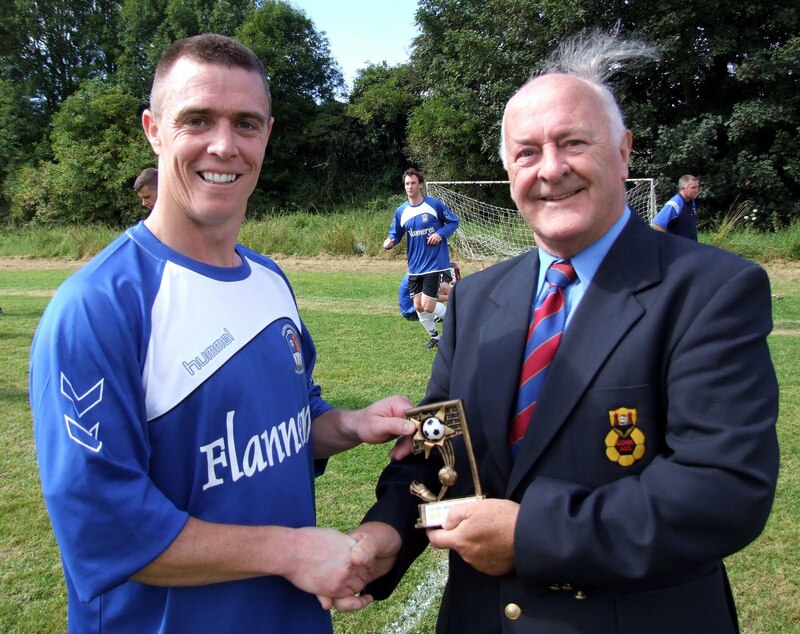 Tony Chambers presents the "man of the match" award to Cathedral Celtic's Brian Montgomery at the Fairfield on Saturday. Celtic beat Buttevant 3-1 in their opening league game of the season. Brian played a big part in that victory by scoring two fantastic goals. My team, MyCork Polish Association, is going to play in the Business League this year and we are looking for a pitch to rent. We are looking for something in the city or near to the city. Is there any team who has a pitch and might be interested to share it with us? My name is Jack and the number is 0851532057.